I’m here in Mexico City representing The Next Web at an event called Apptualizate, where I’ll be speaking about Internet culture and entrepreneurship tomorrow. I’ve never been to Mexico City, but from what I’m hearing there is quite a tech scene developing around here lately. The focus of the tech scene seems to be around developing applications for mobile devices, which makes complete sense since it’s the hottest trend globally right now. 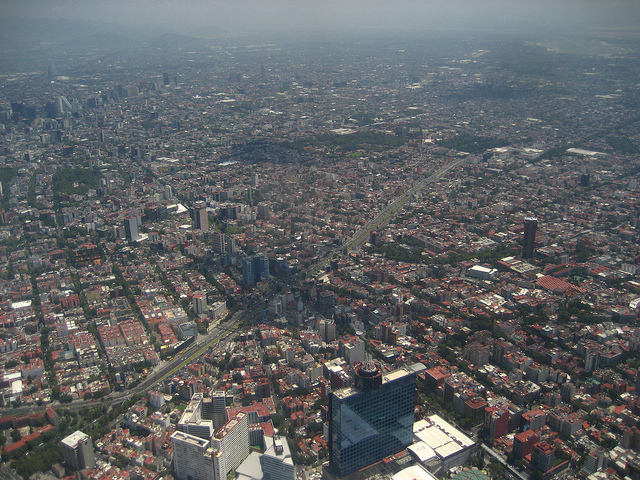 What has been holding Mexico City back from surfacing innovative ideas and building killer apps? I’m told that it might be as “simple” as the lack of an ecosystem that we see in San Francisco and New York City. By ecosystem, I mean a few things; developers helping other developers, angel investors taking chances on small teams, and the lack of VC funds and culture that we enjoy in the states. Having said that, there are ways around what’s lacking, and that’s to cut through the noise with something amazing. Instead of worrying about when and if a company will get funded, developers here in Mexico City first need to realize that if they’re not completely passionate about what they’re doing, they will fail. Everything else will take care of itself in the long run. It’s a mindset that is second nature to us in Silicon Valley, but not so much here. Develop a mobile application for a customer and earn their business in 48 hours. For 48 hours straight, teams will be hacking away on ideas for these sponsoring companies, in hopes that it can land them a contract to see the product all the way through. The developers can’t leave the venue, the gorgeous World Trade Center here in Mexico City, and this is their big chance to shine. The over 140 developers will also get the chance to talk to folks from the sponsoring companies, as well as speakers like Norberto Ortigoza, Ryan Bruels, Michael Silverwood, Clint Nelsen, and Tugce Ergul. I’m told that this is the first time that Mexico City has had this type of in-depth speaker lineup when it comes to tech and venture capital. It’s an honor to be a part of it and I’ll be bringing you updates on what I see, hear, and learn at the event.